If you have a retail operation, you may establish a Dealer Account with WesSpur Tree Equipment. The opportunity exists for your business to bring in new customers and increase sales by retailing WesSpur climbing and safety products to tree care professionals and home owners in your area. WesSpur Tree Equipment has been in the Arborist supply business for over 30 years and has compiled a comprehensive product mix specializing in providing the very best climbing & safety gear. These unique products are stocked in our warehouse ready for same day shipping. 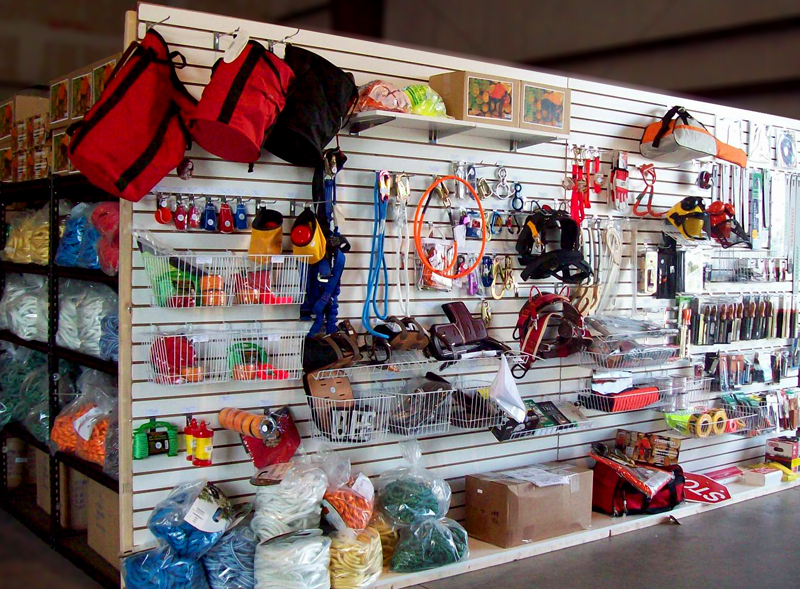 WesSpur offers wholesale pricing to many different types of retailers including hardware stores, lawn and garden centers, chainsaw shops and many other specialty businesses. Retailing product from WesSpur will help you to build a profitable enterprise. Please note: Because of our low wholesale prices - WesSpur Dealers are ineligible for Free Shipping. WesSpur has negotiated the best shipping rates possible. Our shipping department will strive to find the most cost-effective, best shipping method available. Additionally, Gift Certificates and any other promotional/marketing efforts presented by WesSpur are intended for individual catalog-website customers only. Thank You for your Business! Showroom for a WesSpur Dealer - One wall can turn a lot of sales!